The future is the most unpredictable of entities. It can throw a thousand different challenges in our paths, and for entrepreneurs, this can sometimes spell disaster. The best way to safeguard ourselves against these unknown variables is through diversification, and building up an investment portfolio to manage alongside your business is one of the most effective ways of shielding yourself from ruin. 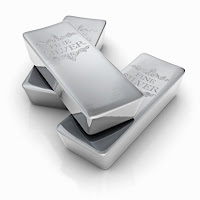 The oldest and simplest way to invest in silver is by purchasing physical bullion from companies who will then safely store it for you, such as BullionVault. These come in a variety of weights and sizes, and this means that there are options to cater to most budgets. Although these bars can be collected and stored at home or in a bank, it is usually best to leave them in the hands of specialist companies for safekeeping. Coins and rounds are another option to investigate. Coins are easy to transport and store, and tend to significantly increase in value over time. For those who prefer the option of hard money, silver rounds are also worth your consideration. Essentially a cross between bars and coins, they share the portability of their brethren, although they have no status as legal tender. If you feel comfortable and knowledgeable enough to deal with an abstract asset, then silver ETFs might also suit your purposes, although these tend to require a higher outlay than the more flexible (in terms of initial investment) physical assets. They are not a simple medium to trade, and do require either the capital to employ a good broker or the experience and skill to do it yourself. However, their high risk-reward balance may hold real appeal for the more entrepreneurial spirits. Approaching the issue from another angle, you could also consider investing in silver mining companies. Demand for the precious metal is high at the moment, thanks to its increased industrial usage and safe haven status, and this means that lots of mining enterprises are thriving. Although some knowledge of share trading is useful for those thinking about this option, it can deliver some impressive returns to those with the skill and talent to make the most of their investment. If you’re considering investing in silver, which option will you choose?